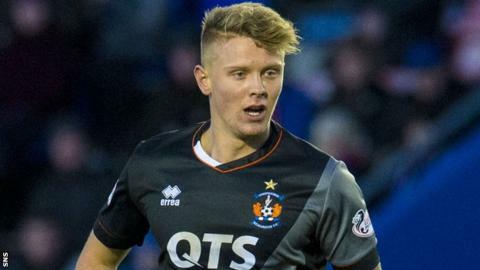 Kilmarnock defender Mark O'Hara is potentially facing 10 weeks on the sidelines through injury. The 20-year-old injured his ankle during training last week. Manager Gary Locke, whose side sit second bottom of the Scottish Premiership, said: "Mark could be out for a wee while. "He might need a wee clean-up op and the worst case scenario would mean he could miss eight to 10 weeks, which would be a nightmare for us." O'Hara, who has made 21 appearances this season, last played for Killie in their 3-2 defeat by Ross County on 29 December. Locke admitted that there was still uncertainty about the severity of the injury. "We will just have to see how it settles down," he said. "He has been for a scan, but it's not showing a lot at the moment, so we will have to wait a couple of weeks and check again."